BARI is located near the motorway junction Olpe-Süd (A4/A45). Take the exit marked Wenden, then turn right towards Olpe. 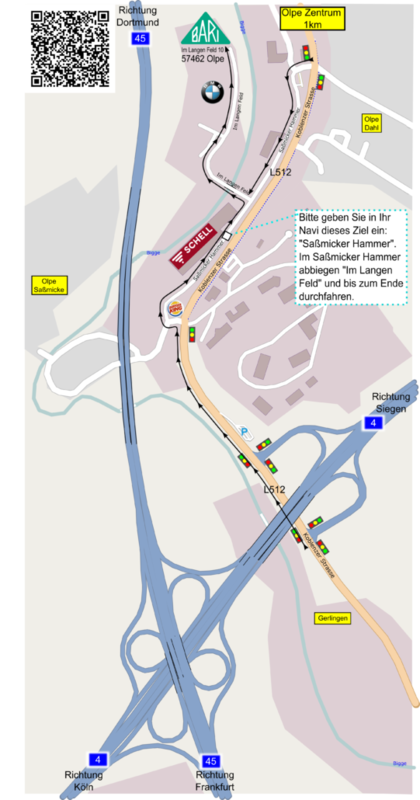 At the next traffic light, (before Burger King) turn left and immediately right into the “Saßmicker Hammer”. After about 200m you pass the Schell factory and then take the next left into the street “Im Langen Feld”. We are right at the end of this road.